that will suit your needs and your family - even the kids! Why a Homeschool Planner can save your sanity! Is your home as peaceful as you'd like it to be? If not and your mind is going in a hundred directions at one time and you're bombarded with questions like, "What am I going to do next?" "What day is my music lesson?" "What's for dinner?" ... then, I'm guessing you might like to read a bit further on this page. One thing we all recognize about homeschooling is that the more organized we are, the smoother our days will be. That's why I enjoy making and using my Homeschool Planner - because I like smooth days! Don't you? and believe me, it does! 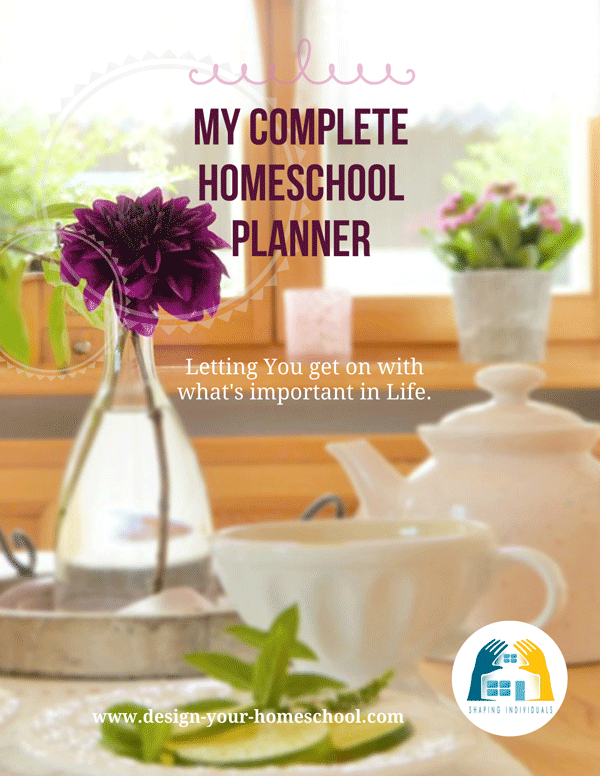 What first motivated me to make a Home school Planner, was my desire to have one book with space to write all my appointments, plans, menus, shopping lists, chore charts and schedules, as well as yearly and monthly calendars, with an address book to boot. But, I also wanted a book which would be my Personal Diary and Home school Planner in one. I wanted to see each week on a double page (from Monday to Sunday) outlining what our family was doing, the meals we were having each day, guests and get-togethers noted, and excursions we were intending to do. I also wanted a double page in which I could detail all the assignments I would set for each child as far as school subjects were concerned. I wanted to be able to open my book on my desk and see the big picture with an overview of the week ahead. I wanted to have a way to record what my children were doing and a way to help me plan from week to week. My planner comes with me wherever I go, enabling me to enter details or notes or ideas on the spot, whether it is to a group homeschooling picnic or a trip to the museum. This is not possible when you have two or three books in which you try to organise your life and your children's activities. 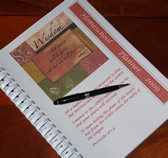 And so, my Homeschool Planner was born ... every year it is a unique planner which has been completely customized for my family to suit the needs of each of the eight family members. Having designed mulitple planners for myself and having homeschooled for years with one on my desk as well as making unique planners for others over the years, I have realized the need for homeschoolers to be well organized, not only in their schooling needs, but also (and sometimes, especially) in their household. 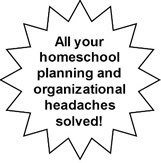 Planners also need to be flexible as every homeschooler has different needs and requirements. These planners offer you exactly that. They are flexible in content, number of pages and layout. But, I recognize that some of you are looking for a "get-it-ready for me solution" (Keep on Track Planner) and others are "I-just-need-some-templates-to-get-going" (DIY Complete Homeschool Planner) type of people. That's why in the end, I created both types of planners. I am happy to create it on my own. Buy the DIY Homeschool Planner here. Would love to create educational goals, but don't know how. I'm not sure what would meet my needs. 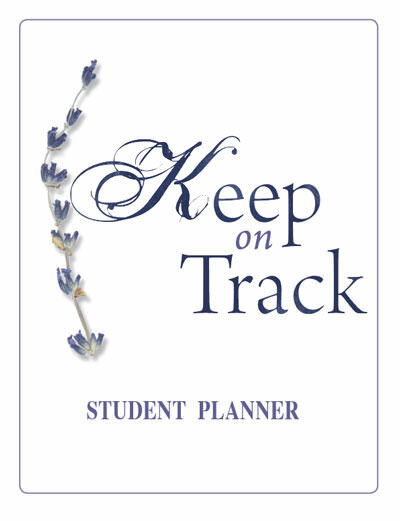 Buy the Keep On Track Planner here. 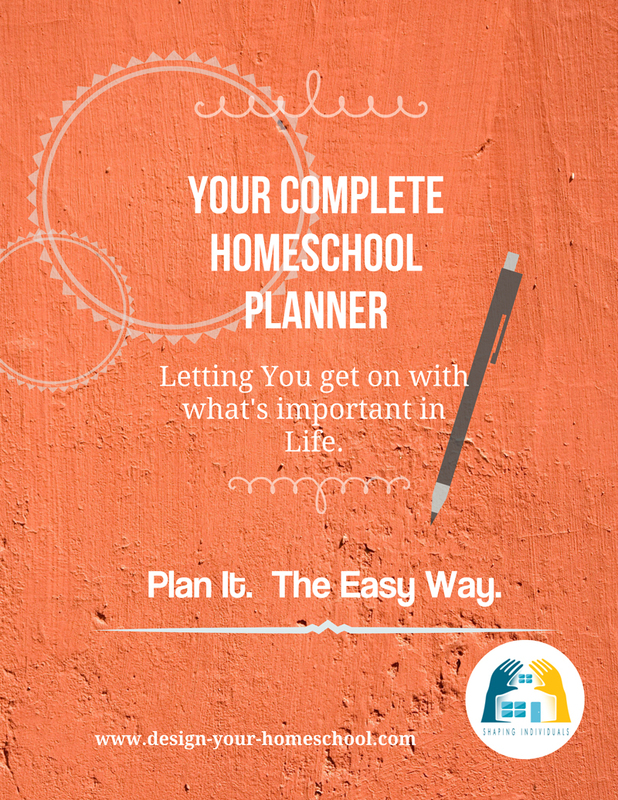 This home-school Student Planner is another planner I developed for the kids. It helps your child to take charge of their learning. The simple pages in the Student planner includes homeschool record keeping forms which are a great way to combine goals, a weekly assignment chart and checklist. The way it is set up helps to keep our goal on what is important and does not just focus on academics. It includes relationship goals, practical goals as well as academic goals. View the homeschool record keeping page to read more. Download the e-book and press print! All in order and ready to go! $9.95 - New updates - no dates! Yes! You can get organized! Make a plan, a schedule that will work for you. Using the above planners, you will have the steps which help you to design a Homeschool Planner that meets your budget and your requirements. Both Keep on Track and the DIY Homeschool Planner comes with information on how to set up and use a planner. 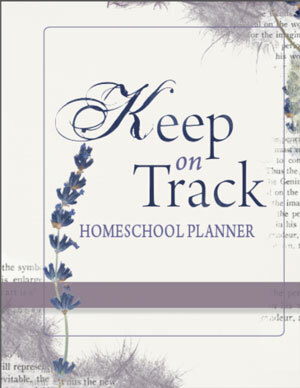 Keep on Track also has the Vision Planning and Setting Educational Goals Ebook included to help you plan and organize your homeschool. If you have more questions feel free to contact me - or add a question below..